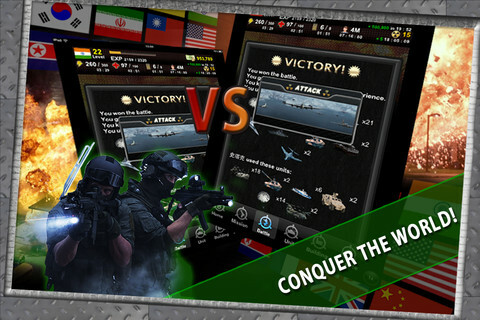 SuperPower – World at War is an iPhone game developed by IPANDA LAB. Your goal is simple: take over the world, and dominate everyone. At the same time as you build your armed forces, you also need to grow your population and ensure that your nation is properly defended. 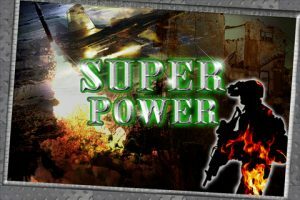 SuperPower – World at War is a realtime MMO that challenges players to build the ultimate military force. 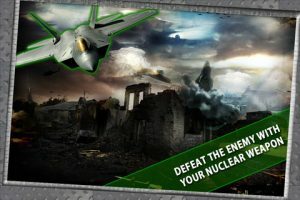 In addition to forging alliances and deploying troops, you also need to save your cash and stockpile as much uranium as you can to intimidate your foes. 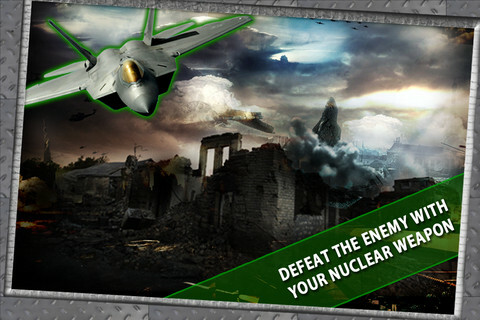 When you fire up SuperPower – World at War for the first time, you’ll have a chance to enter a referral code (if you have one.) 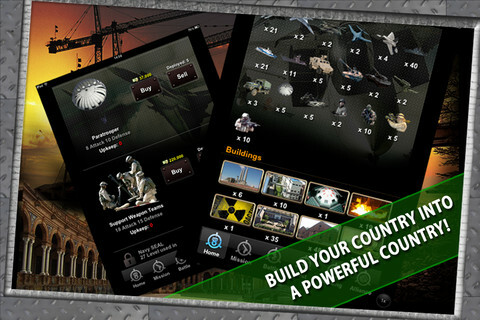 You will also need to choose the country you will play as. Choose your country carefully: you’ll get a “bouns” (I think they mean bonus) to certain stats depending on who you are loyal to. If you want to get right to the fighting, you’ll need to boost your stats and build up your base a bit first. Battles aren’t unlocked until you reach Level 3. It won’t take you more than a couple of minutes, however. The main screen’s interface is pretty cluttered, but anyone who has played military strategy games in the past is used to that level of intense detail. For players who are knew to the genre, however, be prepared to go a bit cross-eyed from information overload. SuperPower – World at War is a challenging strategy MMO title that has a decent social aspect. However, it is a bit hard to get drawn in at first. Once you give it a try and invest some time into it, however, SuperPower – World at War is sure to win you over. 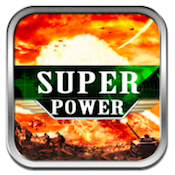 SuperPower – World at Waris compatible with iPhone, iPod touch, and iPad. Requires iOS 4.3 or later.